Inter could reportedly go after Argentina midfielder Leandro PAREDES. Per a report by TuttoSport, should Inter be unable to land midfielder Luka MODRIC from Real Madrid, the club would turn their attention to Zenit’s Leandro PAREDES. With Real Madrid having already sold star player Cristiano RONALDO, it appears difficult that they would also let go of a second star player. 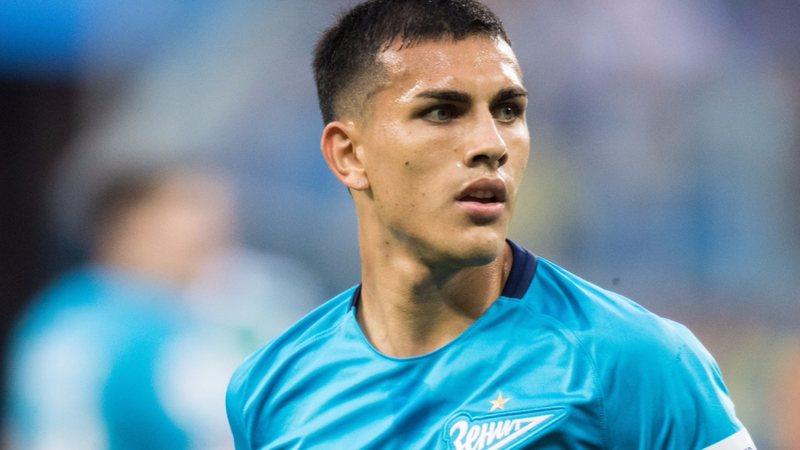 PAREDES joined the Russian club last season (along with several other Argentine players) but a move to a bigger European club could certainly help his career and possibly even chances of being included in the Argentina National Team. He’s previously played in Serie A with Empoli, AS Roma and Chievo. Best direction for him. Mammana, Rigoni, Kranevitter, Driussi should also go some other place. Hope to see this guy playing for the NT, He could be a key player for the upcoming cycle a Deep lying playmaker, Hopefully he will get his chances now onwards, Thankfully Biglia and Masche is retired, That will give a huge window of opportunity for so many midfiled players. And apparently most of the Coaches AFA is approaching they r saying NO. Scaloni and Aimar wont be the Coaches after this year. Otherwise they may have to perform miraculously with the available friendlies within this match, Which is near impossible. Really don’t know who will be our next coach. who can lead us for years to come. Garcea has renewed for Peru so that’s that, There r not so many choices left now i guess. 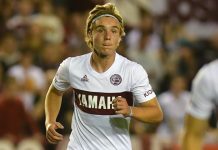 Pekerman (His future will be known by August end), Sabella(have to say he looks rather weak physically) Almiron(No idea) Gallardo(One advantage AFA has is he is still coaching in Argentina that may help to get him) Pochettino(May be if he is frustrated at Tottenham due to no new players, Just may be he may come, But 99 percent no chance), Simeone(Impossible) out of all the above i have gut feeling that Pekerman may come everything shows towards him, Scaloni, Aimar (Pekerman Boys) possible appointing of Hugo Tocalli for looking after Youth setups , these all looks to be moving towards Pekerman ideology. Till next year we would be rather clueless. Agree with all here. The consensus is for all our hopefuls to move to bigger teams. They need acompetitive edge to their game. Clearly it showed when Paredes played against Italy. We were slightly disappointed with his performance. I’ve noticed now that our hopefuls don’t get mentioned or not on the radar of the bigger teams. Maybe they are just not good enough and that we rate them blindly? But Inter thinking about Paredes is a start. 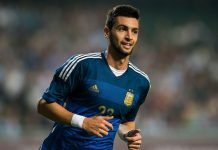 Leonardo paredas is the best deep laying playmaker Argentina have at the moment. Us fans re all hoping that he moves on the biggest leagues in Europe . There is another will keep eye on is Roberto peryare in Watford I realy hope . Pereyra is excellent but he’s not a deep lying playmaker, more of an attacking midfielder with potential to be a box to box type player. Like you said however he’s too injury prone and sadly Lanzini seems to be headed down that path as well. I really like Perreira. Very dynamic player. We need his type in midfield transition. Icardi, Dybala, A.Correa, Cervi, Lamela, Celso, Ascacibar, Acuna, Pezzella and ofcourse Paredes, these guys make up a large chunk of the puzzle that is the NT. Paredes is a true talent and potentially a world class midfielder, he’s performed at every club he’s ever played in (empoli, Roma and Zenit) and it’s paramount for him to move out of Russia and into one of the 4 big leagues. Juve were legit interested in him (but roma stipulated in their contract that he can’t be sold to them instead he was sold to Zenit), there were also reports of Real, Napoli, Milan and Westham all showing interest. Paredes going to Inter would be great, especially since he’d get to play with Lautaro and Icardi but I’d be happy to see him with any team, big or small, as long as it’s in a strong league where he gets challenged on a regular basis. Paredes going to Inter is best for Argentina!!! He will get the necessary experience and training he will not get in Zenit. Other players that need to leave Zenit are Kranevitter, Mammana, Rigoni. These guys NEED to leave to a bigger club and not only improve themselves, but also improve Argentina in the future. Maybe even Driussi could leave as well. I see Inter is very open to receiving Argentinians, probably because of Zanetti. Anyway, happy for Paredes, but Kranevitter, Rigoni, Mammana, Driussi should all leave Zenit ASAP in order to bolster Argentina for the Copa America. And also for themselves they should move. If parades move happens, I am crystal clear on which team to support this year!! I also believe that Ascacibar should move away from VfB Stuttgart as well. 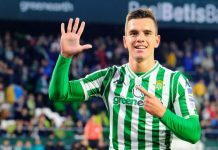 He won’t grow in that team, he needs to move to a stronger team, either any fin the top six in the Premier League IF they want him, or anybody If the Europa League, below their place teams in La Liga (Valencia, Sevilla, Villarreal, Real Betis, Celta Vigo, etc). These players NEED to move into bigger better clubs. Whoever the national team manager will be, they don’t improve the players, they just take advantage of the work their league managers have done for them, and simply just position them in the idea of play they have in mind. Paredes, Kranevitter, Mammana, Ascacibar, Rigoni all of themneed experience, Real intense training to improve their performances. Ya if Paredes goes to Inter, for me its a no brainer we should build the team around the paredes, lautaro, icardi partnership. In fact, it would be great for the afa to have a little chat with Zanetti, and send the message that Inter welcomes Argy NT players and the NT will give priority to those training with them. Sorry I know this isnt related but do you know when the Copa America is next year? Like what dates? I keep seeing different numbers and when is the draw? Paredes should push for this move. It could be a career defining one for him! !